Enjoy a Brighter, More Confident Smile! 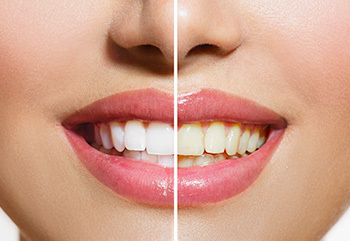 Could your smile use a little refresher? 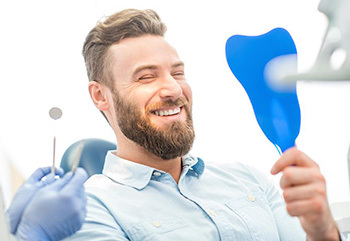 Professional teeth whitening in Benbrook is a great way to rejuvenate yellowed or stained teeth, a side effect of aging that just about everyone will experience. A simple take-home teeth whitening treatment does not take long to complete and it can lift stains and leave your smile up to 8 shades brighter. Dr. Givan and our team prefer GLO take-home whitening -- keep reading to learn more about how it works and whether or not this option is right for your smile! GLO is a hands-free whitening treatment that really works -- with no sensitivity. We prefer this option because it allows patients the convenience of whitening at home without increasing the risk of discomfort when exposed to heat, cold, and air that is common with other whitening treatments. GLO works using clinically-proven warming heat acceleration. You wear the mouthpiece that has been filled with the teeth whitening solution for just 8 minutes a day (far shorter than the typical take-home treatment). Thanks the the warming accelerator, that’s all it takes to notice immediate results. Continue for as long as directed (it may vary for each patient) and enjoy lasting, beautiful whitening! Take-home teeth whitening offers a number of benefits for patients who are interested in improving the appearance of their smiles with cosmetic dentistry. It can be used alone or combined with another cosmetic dentistry treatment for maximum results. Some of the most considerable advantages of take-home teeth whitening -- and GLO in particular -- are listed below. Just about everyone can benefit from take-home teeth whitening. We may recommend combining this treatment with a checkup and cleaning to ensure you are in excellent oral health before proceeding. Spots of tooth decay or presence of gum disease should be treated before or during the teeth whitening treatment. Let’s Get Started on Your Smile! If you are interested in revealing a more youthful smile at a price that fits into most budgets, you deserve to learn more about how take-home teeth whitening from our office can help. Your cosmetic dentist in Benbrook can’t wait to help you smile your absolute best and brightest! To learn more about GLO teeth whitening or to schedule an appointment, we invite you to contact us today.